As the clock countsdown to the last 10 hours of the contest, I'm actually getting pretty antsy - in a good way, I promise! Galen opened a door for me in writing, but even after that accomplishment I don't think I was brave enough to really push it out there. And while I've been very honest in saying that I don't feel that it is the best work I have ever done - I think spending so much time going back over it has made me appreciate how much devotion I originally put into it. 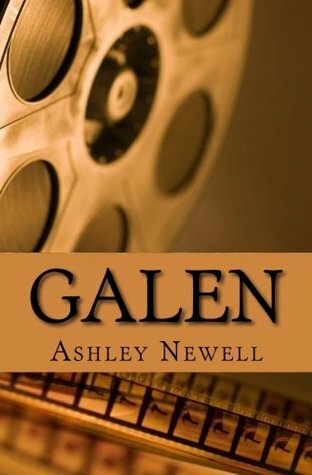 Bringing Galen back reminded me why I was so in love with the story - and since it still gave me butterflies, laughs, and tears, I think it's safe to say that I am still in love with the story. I think my apprehension came from delving into darker themes afterward. Galen sweet. Yes, I think that's the best word for it. I don't think it's one that a reader would lose sleep over, and it isn't one that lingered with me as long as some of my other characters. I suppose that's because I don't think that these characters have much unfinished business. I haven't broken them. If anything, my broken characters pulled their pieces together. So it's sweet. It's heartwarming. It's a rainy day book when you just want a hug from the words on a page. It's silly. It's fun. And (I hope) it'll make you fall in love. Because that's what it's about in the end, isn't it? That's THE Michael Wolfgang vision. Wouldn't it be nice if we could just all fall in love? If you haven't entered the giveaway yet, there is still time. If you're looking for the book after the contest, I will have it open in the online stores by July 15th. And if you aren't sure about it yet, please go request it at your local library after July 15th (give it time to show up on their purchasable list). And if you're simply waiting for the next contest, check the blog soon. I'm going to announce where in the world these four books are flying to (fingers still crossed for the penguins! ), and then a new contest will present itself for more winning fun! Best of luck entrants! I hope a lovely book finds you soon! Giveaway ends July 10, 2016.